If pregnancy is one of the many magical moments in a woman’s life, then radish is one of the most miraculous vegetables available in nature. But then, there is a small fear almost every pregnant woman has; if consuming radish during pregnancy is safe. So if you happen to be a pregnant woman reading this post, then you have come to the right place. Is radish good during pregnancy? If yes, how should you be consuming it? You will find answers to all those questions in this post! Delay no more and give a read! Pregnancy is a period that demands careful decisions from the mother-to-be. Your body requires more calories than before. It needs to supply food to your baby too. If you are an expecting mother, you become too cautious of what you eat. Too many diet-related questions pop up in your mind (1). And one such question is if you can consume radish during this period. Well, the answer is yes. And if you want to know how, then sit back and give this post a thorough read! Radish has minerals and vitamins useful for the baby growing in your belly. Radish also has calcium. Calcium helps in the building of your baby’s teeth, bones and muscle. Furthermore, radish also contains folic acid, which helps in ensuring that the baby is born with no birth defects. Radish also has potassium, vitamin C and iron required for you and your baby. It is crucial to understand how to eat radish when you are pregnant. If you don’t eat it the right way, this vegetable may cause damage to your health. Before you plan to cook any dish with radish, ensure you wash it with lukewarm water. Scrub the dirt off the surface of the root vegetable. Rub it with your hands. Now, rinse water to ensure the radish you have picked is dirt-free. Go ahead and slice the radish to use it in a salad. It is a wise idea to cook radish. It is common knowledge that heat kills bacteria. If you sauté the radish, it kills all the parasites and bacteria. Along with radish wash the leaves as well. Depending on which dish you make, cook the leaves too. There are several ways of adding radish to your diet (2). You can eat radish in your green salad. You can also slice this root vegetable. Use the pieces as a garnish in your vegetable soup. You can also use sautéed radish in pasta sauce. Usually, people eat radish in its raw form. But during the time of pregnancy, it is not wise to consume radish that way. There are dangers attached to consuming raw radish during pregnancy. If you eat raw radish, it may cause illness. This is because raw radish may have bacteria that may cause infections and other diseases. It must be noted that your immune system doesn’t work effectively when you are pregnant. It gives scope to the rise of several bacterial and parasitical infections. Radish grows inside the soil. If the soil is contaminated, it may cause you toxoplasmosis. Toxoplasmosis is a condition that occurs when you eat the food that grows in contaminated soil. If you eat contaminated radish, it may also cause E.coli or salmonella (3). It is for this reason that you must wash this root vegetable before eating it. Raw radish leaves are also dangerous to eat at the time of pregnancy. Therefore, wash them before you consume them as a part of your pregnancy diet. Pregnancy is a beautiful as well as a crucial period in a woman’s life. And if proper care is taken during this period, both the mother and the baby will be safe and happy. 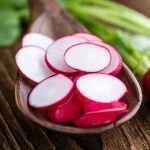 Do you know of other ways to eat radish during pregnancy? 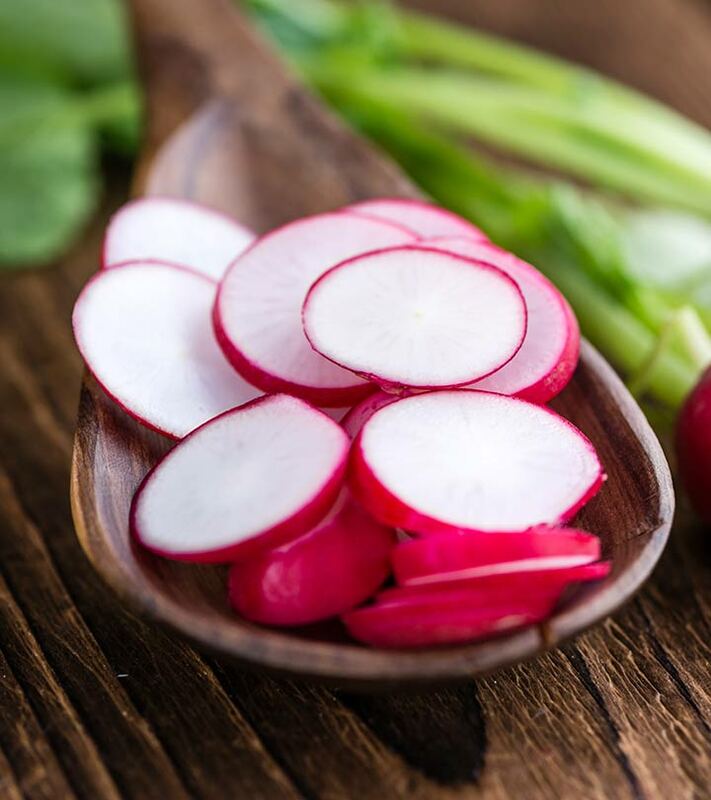 Or do you know of the benefits of eating radish during pregnancy? Do share with us in the comments section! Is It Safe To Have Jaggery (Gur) During Pregnancy?